How do you know that the frenzy over Game of Thrones has reached Super Bowl-levels of excitement? When snack companies are clamoring to be at your side when you munch your way through the final season. In that spirit, everyone’s childhood favorite Oreo has released a special edition of its classic sandwich cookie in a jet-black package. Each cookie within is stamped with an embossment that represents one of Game of Thrones’s contentious factions: House Stark, House Lannister, and House Targaryen. Oreo even dedicates a cookie to the leader of the White Walkers, the Night King. 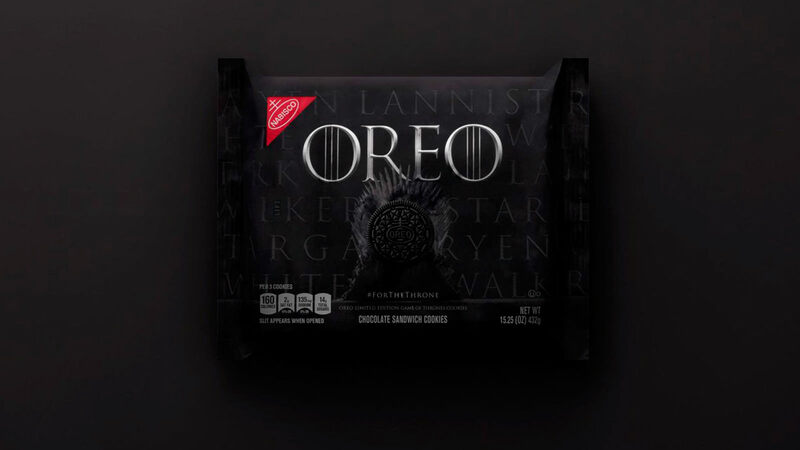 But the real treasure here has to be the promotional video that Oreo has created in conjunction with the special release: a painstaking “all Oreo” recreation of Game of Thrones’s distinctive opening title sequence.